To reserve a tour, please email us at info@ecotourismbelize.com or call at (+501) 722-0108. Click here for our Booking and Cancellation Policy. 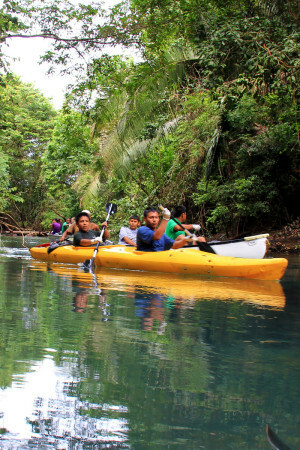 Paddling down Golden Stream with a Ya'axché Ranger is a great way to experience the Maya Golden Landscape. You will be part of an official Ya'axché river patrol of the 15,000 acre Golden Stream Corridor Preserve and have the opportunity to be involved in the protection of this vital forest corridor. As part of the River Patrol, you will contribute to the daily wildlife logs; record key species of mammals and birds along Golden Stream and learn how our rangers detect signs of illegal hunting and fishing. You will hone your own detective skills as you learn to identify jaguar, puma and tapir tracks along the river banks, identify the call of hummingbirds, and look out for water thrush, tiger throated herons and amazonian kingfishers. You will likely get a bit wet and should expect to have to carry your craft over some of the shallows at times. 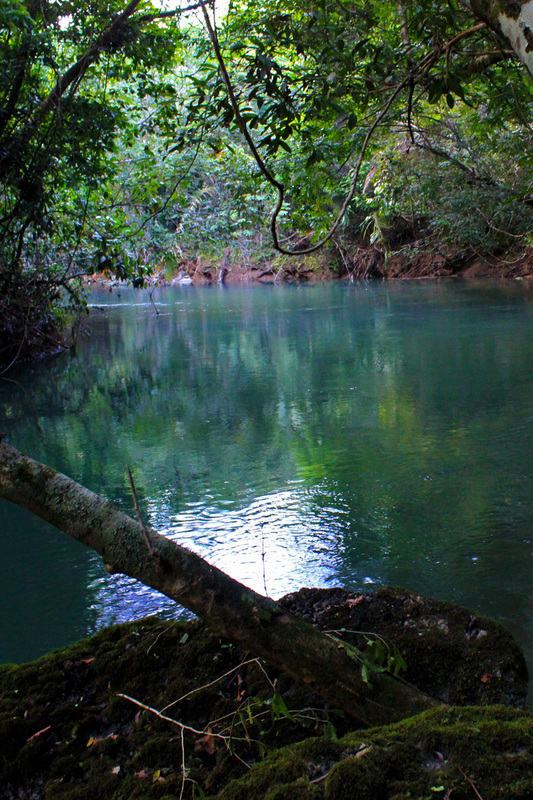 This ecotour requires being sure footed in the water but is less strenuous than many of our treks. Water shoes or sandals with straps. Flip-flops and shoes that are not attached to your feed are less than ideal as they can be carried away easily by the current. Alternatively shoes or boots that you do not mind getting wet. You will likely get a bit wet so a bathing suit or other quick drying clothing is ideal. A wet bag or zip lock bag to store items that you don't want to get wet. Binoculars and a camera if you care to get a closer look and record some of your sightings. Water and perhaps a small snack to have on the patrol. Starts & Ends at: Field Station in Golden Stream Village (Directions). River patrols are subject to river conditions during the dry and wet seasons. If planning a tour during April/May and July/August please contact us to check availability.